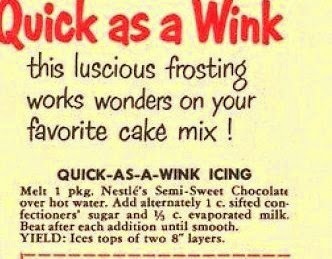 Nestle's semi sweet chocolate chips... Quick as a Wink, chocolate icing. Whipped up in a glorious green Pyrex mixing bowl! This is a simple recipe with only 3 ingredients. Chips, powder sugar and Pet's Milk. 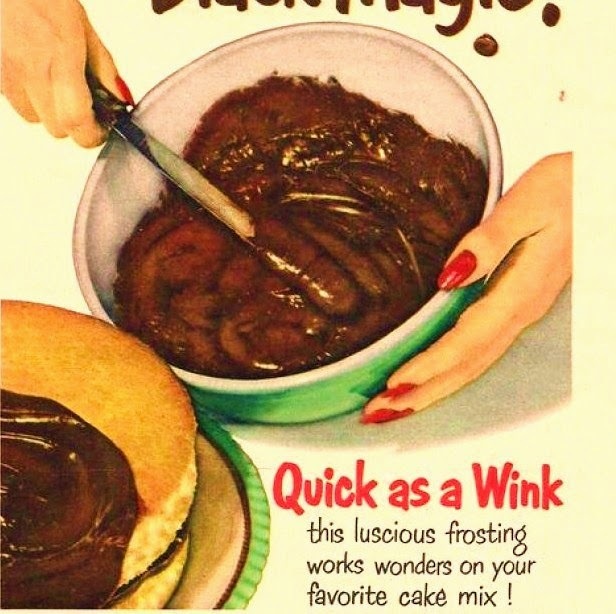 This would have to be a really rich and creamy icing. The only draw back for me is that evil double boiler.